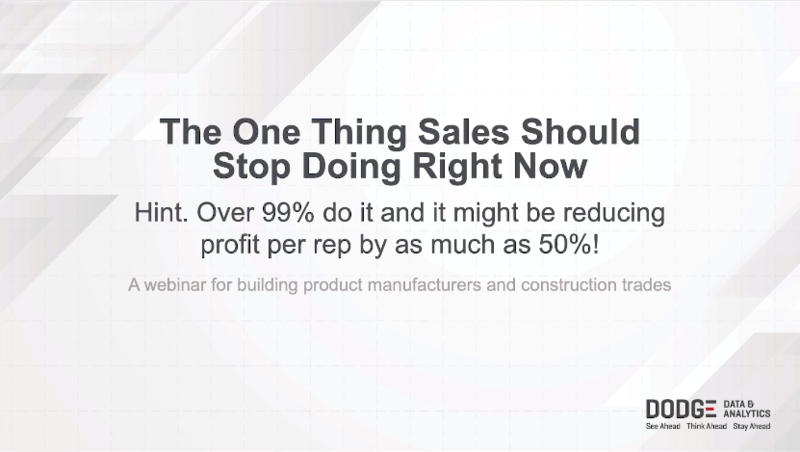 Every day, building product manufacturer sales professionals try to find and win as many of the most profitable projects as their firms can handle. But, over 99% of reps today continue to use outdated strategies that practically guarantee low productivity and profitability. Join experts from Dodge Data & Analytics to learn how this one small change in your sales process will put you far ahead of all of your competitors and could boost profit per rep by 50% or more.